I finished piecing all the blocks for my table runner. The blocks have been trimmed to 6.5inches for a finished block of 6inches because I've found that a width of about 12 inches works best for my tables. I found the grey blocks frustrating because I really only had light and medium grey fabrics and ended up adding a black. I could really have done with a couple of darker grey fabrics but I was trying to stick with what was in my stash! 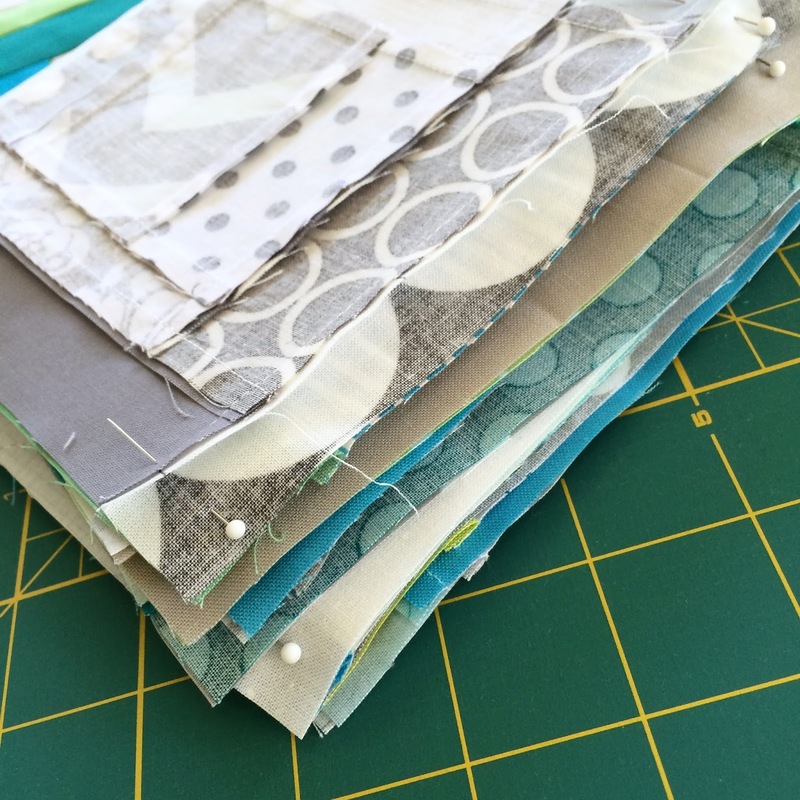 I've also decided that I need more fabrics that don't have dots on! I'm happy with how it is coming along though. I am away from home for a couple of days so won't get any more done until later in the week. I'm hoping I have enough of this woodgrain fabric for the back, if not I'll have to piece it with some other fabrics.